Volvo will follow its XC90 large crossover by taking aim at the premium large sedan market with the new S90. GOTHENBURG, Sweden -- Volvo will follow its XC90 large crossover by taking aim at the premium large sedan market with the new S90. The S90 is the second nameplate to be based on Volvo's in-house developed Scalable Product Architecture. The Swedish brand released images and details of the new flagship sedan at a press event last week here. "With the launch of the XC90 we made a clear statement of intent. We are now clearly and firmly in the game," Volvo CEO Hakan Samuelsson said in a statement noting Volvo's product-development investment of $11 billion over the past five years. The S90 will compete against premium sport sedans such as the BMW 5 series and Mercedes-Benz E class. The sedan is loaded with high-end equipment. Volvo says the S90's City Safety anti-collision system has been improved to offer a world-first function: large-animal detection. The feature can recognize an elk or moose, day or night, and provide brake support to avoid a crash. The sedan also offers semiautonomous-driving technology that gives steering assistance to keep the car in its lane at speeds up to 81 mph even if there is no vehicle in front. The S90 will also be offered with a plug-in hybrid drivetrain. The S90 replaces the slow-selling S80 as Volvo's flagship sedan and it will have a public debut in January at the Detroit auto show. Volvo expects 80 percent of S90 sales will be new customers, largely because the S80 was not a big seller, sales and marketing chief Bjorn Annwall told Automotive News on the sidelines of the event. "Clearly we expect the U.S and China to be the biggest markets for the car," Annwall said. Car buyers in both markets appreciated the S90's fit and finish, he said, and U.S. customers really liked that the car can nearly drive itself on the highway. 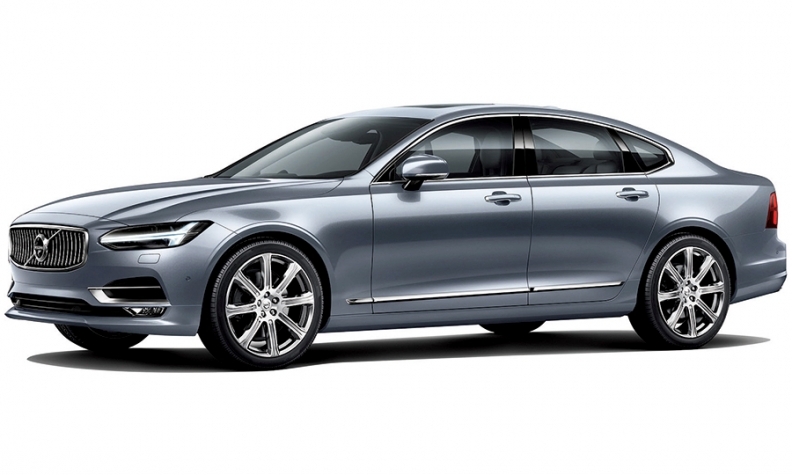 Will Volvo's S90L land stateside?